For the first time this season we will have four teams on their bye week as we enter Week 7 with the Packers, Raiders, Steelers and Seahawks all getting the week off. For the most part fantasy owners escaped Week 6 without any real major injuries, but that doesn’t mean there’s no reason to scour the waiver wire for players who can improve your team over the coming weeks. With Week 7 signaling the half-way point of the fantasy football season for most players, let’s take a look at the top players who should come off the waiver wire this week. Mitchell Trubisky, CHI – Trubisky has now thrown nine passing touchdowns over the Bears’ past two contests. In each of those games, he has thrown for over 300 yards, and was picked off just once with that lone interception coming after a TD pass had been called back. 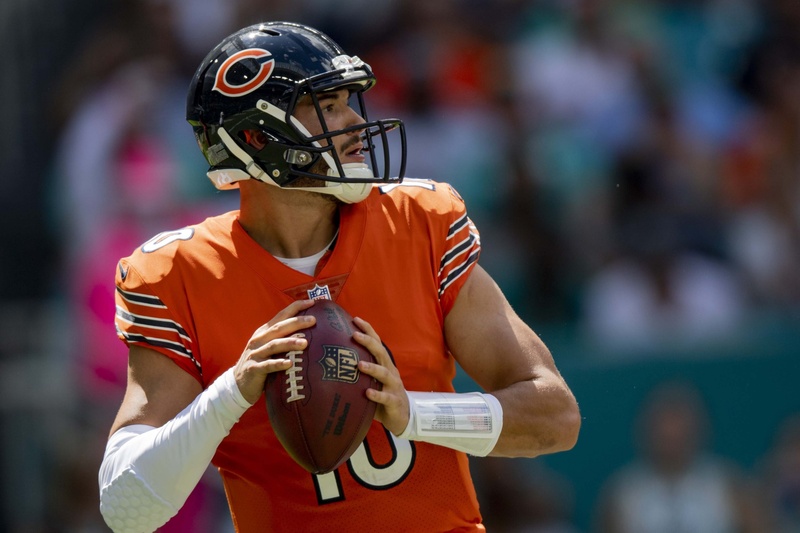 With four teams on a bye and other QBs such as Baker Mayfield a little banged up, I am expecting many owners to bid on Trubisky’s services during Week 7 as the Bears welcome in a Patriots defense that is no stranger to giving up points to opposing passing attacks. C.J. Beathard, SF – I was not totally down on Beathard when news broke that Jimmy Garoppolo was going to miss the rest of the 2018 season due to a torn ACL and fantasy owners who have used Beathard have been rewarded, as he is averaging 18.8 fantasy points. In Week 7, the 49ers face a Rams defense that has been torched by opposing passing attacks ever since CBs Aqib Talib and Marcus Peters went down with injuries. 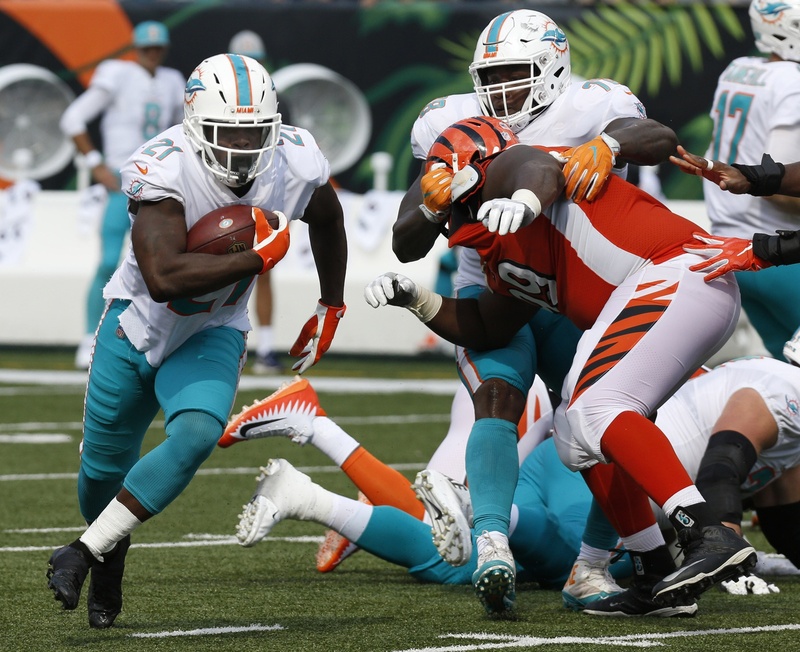 Frank Gore, MIA – I mean it was really only a matter of time before Gore was the lead back in Miami. It was the one thing that made all Kenyan Drake owners feel sick about when Gore was signed by the Dolphins during the offseason because no matter how many times the fantasy community calls for the decline of Frank Gore he just continues to produce. In Week 6 against the Bears Gore ran 15 times for 101 yards. In Week 7 he faces a Lions defense that teams have, for the most part, had little trouble running the football against them. The Dolphins would be smart to ride Gore for as long as he can stay healthy. Jalen Richard, OAK – So I know the Raiders are on a bye week, but that doesn’t mean you have to ignore the players on their roster who could really benefit your team during the second half of the season. I also like targeting bye week players because often they can be had for a cheaper FAAB bid as fantasy owners are looking to spend for immediate help. Now Richard only has value in PPR formats, catching 31 passes for 253 yards on the season. In Week 6, he led the Raiders in both catches (7) and targets (8). He currently ranks second on the team in targets at 37 and is just one catch behind TE Jared Cook for the lead in that category as well. Raheem Mostert, SF – Your guess is as good as mine here. Mostert came out of nowhere to lead the 49ers in rushing yards on Monday night vs. the Packers, totaling 87 yards on 12 carries. He shared the backfield with Matt Breida, who was questionable to play heading into the game, but was active. What makes Mostert’s sudden role more interesting is the fact Alfred Morris did not see a single carry. If Breida continues to be hampered by his various ailments, then Mostert could end up being the guy to own. 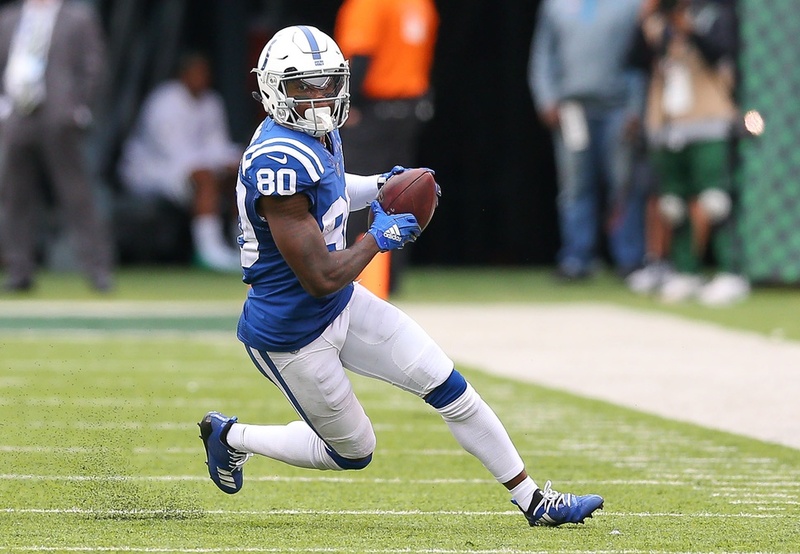 Chester Rogers, IND – I have been touting Rogers since the injury to T.Y. Hilton, and in PPR leagues Rogers continues to come through for me. In Week 6, he saw his third straight week of 10-plus targets, and though he only caught four passes, Rogers did find the end zone for the first time this season. If there is one thing we know about the Colts offense it’s that they are going to throw the football; Andrew Luck finds himself on pace to break the single-season pass attempts record. So with that said, I will continue to roll out Rogers in my PPR leagues because he is going to get the looks. Taylor Gabriel, CHI – While everybody is talking about Tarik Cohen and Trubisky it seems as if Gabriel has slipped through the cracks. That is until this week, in which we saw Gabriel notch his second straight 100-plus yard receiving performance, hauling in five catches for 110 yards against the Dolphins. The production here is no fluke either as Gabriel is seeing consistent targets as part of the Bears’ passing attack. In Week 7, Chicago will face a Patriots defense that was just torched by a similar speedster in Chiefs WR Tyreek Hill, which should put Gabriel firmly on your radar. Willie Snead, BAL – I am a sucker for a good revenge narrative and that’s what we have here in Week 7 for Snead when the Ravens take on the Saints. Fortunately for fantasy owners, the Saints defense has been atrocious this season. This bodes well for Snead in this matchup, especially given the focus will likely be on stopping WRs Michael Crabtree and John Brown from making big plays down field. On the season, Snead is third on Baltimore in targets with 43, but is tied for the team lead in catches at 30. In PPR leagues, Snead has only failed to score 10-plus points just one time this season. 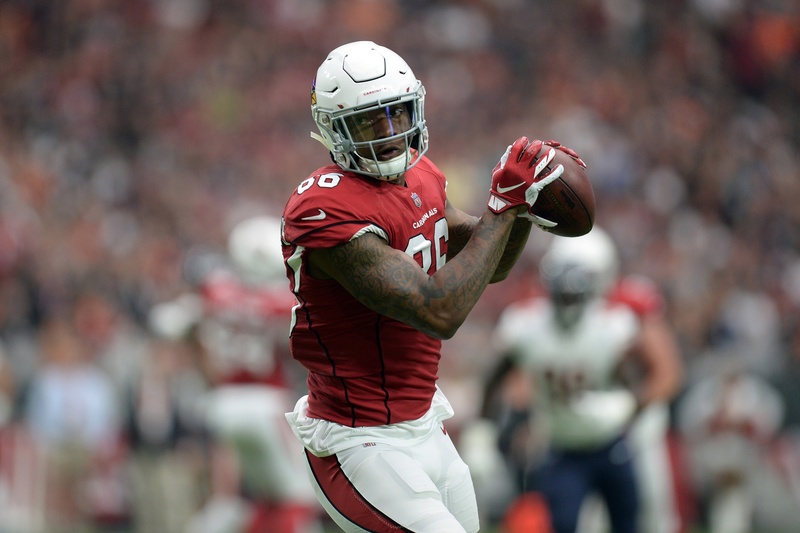 Ricky Seals-Jones, ARI – I am IN on some Seals-Jones this week when the Cardinals play a Broncos defense that is allowing the fourth-most fantasy points to TEs this season. I also like the fact Cardinals QB Josh Rosen is targeting RSJ fairly often, with six pass attempts heading his way in each of the last two weeks. Now, yes, in Week 5 RSJ did fail to catch any of his six targets, which is certainly disappointing, but in Week 6 he tallied five catches for 69 yards. If you need a tight end this week then give RSJ a shot. C.J. Uzomah, CIN – Sticking with the tight ends playing on primetime this week we have Uzomah playing a Chiefs defense that held Patriots TE Rob Gronkowski in check until they didn’t and he torched them for two huge plays late in the game to help New England to a field-goal victory. Now, I acknowledge Uzomah is not of the caliber of Gronkowski, but the Chiefs defense is pretty terrible and they will have their hands full with the likes of A.J. Green, Tyler Boyd and Joe Mixon, which could lead to Uzomah being somewhat forgotten. In Week 6, Uzomah caught 6-of-7 targets for 54 yards. I like his upside in this matchup.